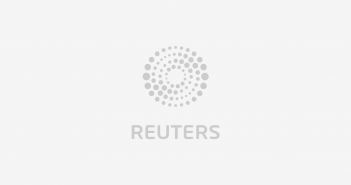 APALACHICOLA, Fla. (Reuters) – A sewage spill from a Florida wastewater plant during Hurricane Michael into a river feeding environmentally fragile Apalachicola Bay is suspected of causing mass fish kills downstream, state officials said on Thursday. Experts say the discharge of 80,000 gallons of partially treated sewage into the Apalachicola River marks the latest blow to a once-productive estuary struggling to recover from an earlier collapse of its oyster and fishing industry. The discharge came from a sewage plant in Wewahitchka, about 80 miles east of Tallahassee. “It’s heartbreaking,” said Shannon Hartsfield, a fourth-generation oysterman who is head of the Franklin County Seafood Workers Association, of the spill. Hartsfield told Reuters he had seen thousands of dead fish in the river about 20 miles downstream from the site of the spill. On the waterfront in the town of Apalachicola, at the mouth of the river, the stench of sewage in the air was strong on Thursday. Apalachicola Bay and the estuary system surrounding it once produced 10 percent of the U.S. oyster catch and 90 percent of Florida’s harvest, along with abundant harvests of shrimp, crab and fish. Michael Dasher, a fishing boat captain, said he first noticed sewage in the bay late Wednesday afternoon. A fish kill hotline operated by the Florida Fish and Wildlife Conservation Commission received “numerous reports of dead fish at several locations in Gulf and Franklin counties” since the spill, commission spokeswoman Michelle Kerr said. The stricken fish species included flounder, bass, bream, catfish and blue gill, she said. A spokeswoman for the Department of Environmental Protection, Dee Ann Miller, said power and potable water to the town of Wewahitchka have since been restored and the spill has ceased. The Apalachicola Bay and three rivers feeding it have presumably been hit already by large but as yet unquantified volumes of runoff pollution of all types typical after a major storm causing widespread devastation, said Dean Grubbs, a research biologist for the Florida State University Coastal and Marine Laboratory. He said the collective impact from the sewage spill, debris, waste, fuels and other chemicals washing into the estuary from around the region could be profound. “There’s going to be physical damage to the marsh habitat, sea-grass habitat, all the foundation habitats that are needed for the bay,” he said. The Apalachicola Bay has suffered for over a decade due to rising salinity levels as freshwater flows into the estuary diminished, the result of increasing upstream river diversions. Hartsfield, the oysterman, said the salinity levels in Apalachicola Bay, combined with other factors, have been blamed for plunging oyster production, leading the federal government to declare a fisheries collapse in 2012.